Who wants to be balanced? Balanced people don’t get anything done. Balanced people are not leaning. Progress in a marriage takes leaning in. Progress in your life with Jesus takes leaning in. If you are moving, chances are you are going to stumble. We’ve got to help each other and pick each other up when we stumble. Motion causes you to stumble occasionally. If you want safety, don’t lean in to anything. aahhh – a message for me — i like it safe and balanced – I am learning that being a risk taker is not a thing to be feared. 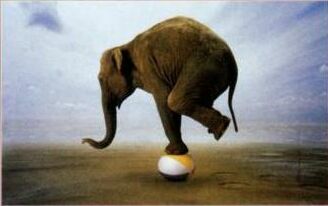 I guess I need to let the scales tip a little – balance is just so tidy though……..